Recycling at Virginia Wesleyan University is both an institutional commitment to reducing waste and an individual commitment to being good stewards of our environment. A partnership between members of the campus community, the Physical Plant staff and locally based waste management company TFC Recycling, VWU's recycling program is truly a cooperative effort. 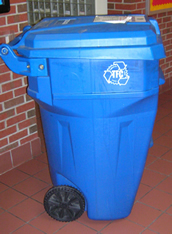 Blue and you: Individuals are responsible for sorting their trash and placing recylables into the blue mixed-use receptacles, open bins as well as large covered 55-gallon containers, located throughout campus. The Physical Plant staff empties the larger bins and containers into a dumpster near the Physical Plant Office. TFC Recycling collects, sorts and processes our recyclables. There are large open bins in a variety of office and common-space locations. The locations of all large covered 55-gallon containers and a list of acceptable and unacceptable materials for recylcing are below. 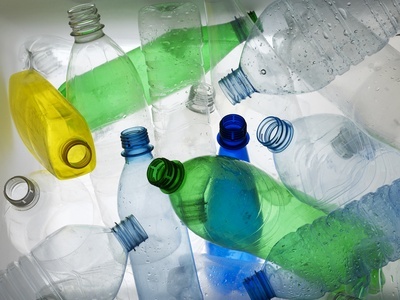 If you do not see a recycle bin or container near you and wish to add one, please call 757.455.3365. To purchase smaller room- and office-size cans, contact Bruce Vaughan at bvaughan@vwu.edu. *Food waste is one of the most common ways to contaminate a recyling container. Pizza boxes, napkins, wrappers and other materials with food still on them should not be mixed in with recycling. **Although there are no official recycling centers on campus for batteries and printer cartridges, some campus offices do collect them for recycling at different times during the year. Contact the Physical Plant (757.455.3365) or the Office of Community Service (757.455.3216) for more information.